“Hedge”, a word originally meaning “enclosure” – is both the edge and what’s inside. Hedges define the look of our countryside and gardens, are legal boundaries, protectors of our privacy, make ecological superhighways, form the space of agriculture, provide food for free and make a strange in-between public place for us all. As some hedges and green fields disappear and other hedges are created around new homes and gardens, perhaps this is a time to remember their past and rethink their future as a new sort of common land, both as nature reserves and for human food – a linear new model farm. The art work “One day all this will be fields”, by www.ruralrecreation.org.uk, consists of newly planted fruiting trees and shrubs, marker sculptures and signs guiding residents to food for free around a new housing project in Hilperton, Wilts. Explore the project – the art, food and drink of the suburbs – with the map & tour. “One day all this will be fields… ” (2015). Wild fruit planting and 1/3 scale galvanised steel stile. 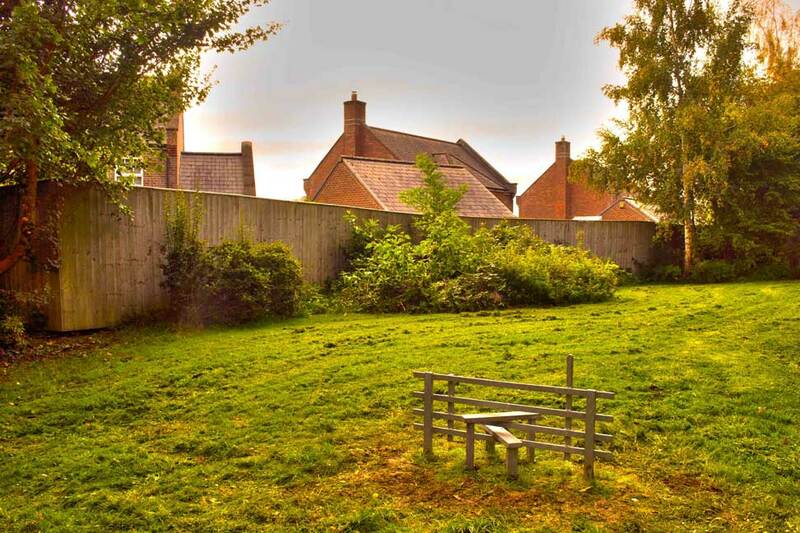 h edges is an art project by ruralrecreation which has taken place in an area of new housing in southern Hilperton / Paxcroft Mead between 2013-15. Reinstating ancient hedge lines, it has been a collaborative work with local foragers, guerilla gardeners, the Mead Primary School, chefs from the Ethicurian restaurant, landscape designers Ginkgo Projects, Somerset Forge, the Hilperton Women’s Institute, Paxcroft Mead Residents Association, Hilperton Parish Council and Wiltshire Council amongst others. It was commissioned through Commissions Projects. A very interesting project, my house is in the corner of an old field and has the original hedge on two adjacent sides. We occupied the house from new 16 years ago ( plot 16! ) and I can remember how it was then. Our garden used to be beautiful but when my wife became ill and I became a full time carer it was very neglected. My wife passed away in January this year and one of her last wishes was for me to ” create a garden the kids can run riot in” I am in the process of fulfilling that promise. In the context of an art project if anyone would like to offer any ideas they would be very welcome and involving the hedges in the garden rather than just enclosing it would be a bit special. This sounds like a project that is overdue and should be integrated into any of the new developments in Trowbridge/Hilperton. Hedgerows in this locality are still being grubbed up and undervalued. Can a tree warden protect old hedging? And how are you working with Wiltshire County Council on this project and housing developers? 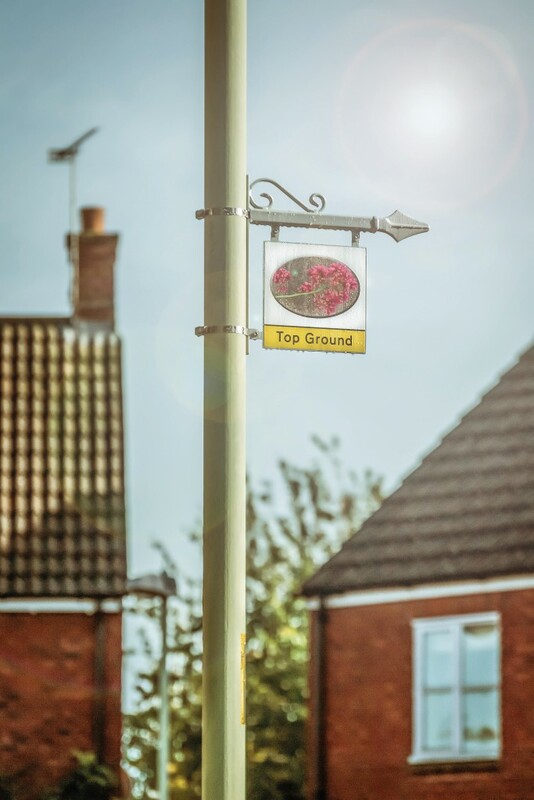 The strategic plan for our area will mean 100s of new houses with the potential to include hundreds of metres of community hedgerows and to plant new ones. There is a old hedgerow row marking the edge of my mother’s garden in Hiperton which we think is more than 150+ years old. It is not listed for any type of protection. What can we do? Hi Marie – thanks for your support and glad to know that you have a great piece of hedgerow heritage that you are both looking after. We’ll certainly pass on your comments to the Parish and County Councils. The project has been funded by the developers from their community contribution but delivered by Wilts Council Arts and Culture, the Parish Council and PM Residents Association. We hope if this is a success that there might be something similar in other development areas. Regarding protection I think you should get in touch with the Countryside people at Wilts Council who should be able to point you in the right direction for advice, details below. I am working with the Parish to produce a Neighbourhood Plan – this will aim to control development and improve the environment. I will be mentioning hEdges and suggesting that this is a good way forward in terms of non-land use planning action. That’s great David – really pleased to hear this resource and approach will be part of that process. Let us know if you need any more help or info about the project.